There is a great neighborhood by the name of Town N Country Park that offers homes perfect for a large portion of today's home buyers. 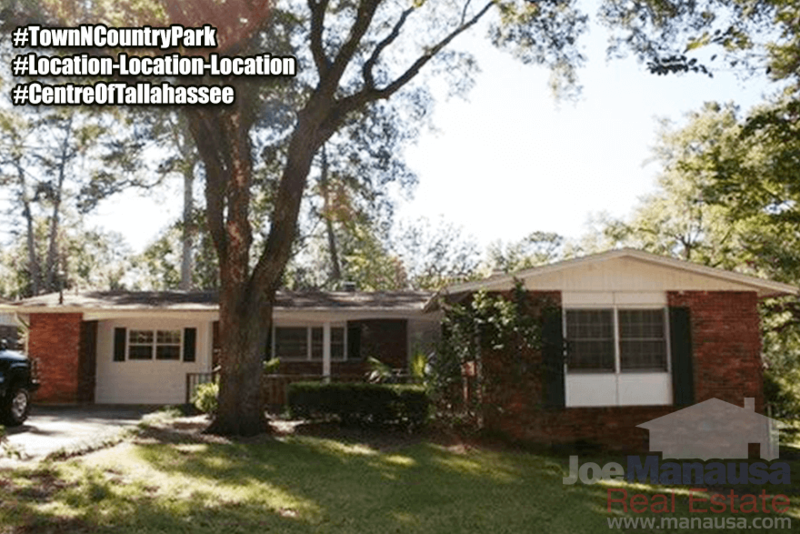 It is within walking distance of the new Centre of Tallahassee and contains more than 270 homes, so lets explore this subdivision which appears to be shedding its last remnants of the housing market collapse. While last year set a ten-year best for this popular centrally located neighborhood (in terms of the number of homes sold), current activity indicates a repeat or better performance for Town N Country Park in 2016. Right now, four homes are listed for sale and one is under contract. It is scheduled to close today (nice job Michelle Manausa). It happens to be the "coming soon" listing we mentioned in our last report on Town N County Park, so it sold and closed pretty quickly. So this means we're only one sale short of last year's total, and we still have 65 days left to go. 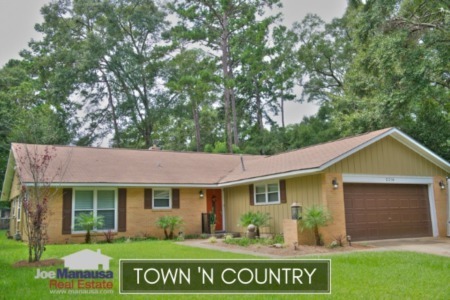 Don't let a great buy in this great neighborhood escape you in 2016! 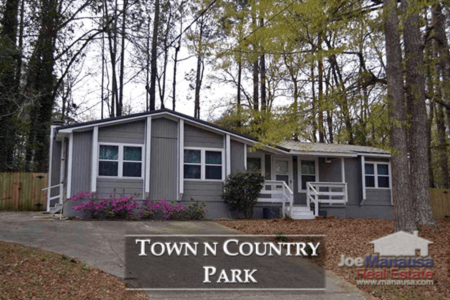 I encourage home buyers looking for a property near the median price to examine home prices, home values, and home sizes, along with a list of all closed home sales going back to 1991 to understand the current values to be found in Town N Country Park. It is important to note that the narrative contained below is for sales through December for all previous years, but through the 25th of October in 2016. The graphs and the closed sales table will be continuously updated into the future (meaning bookmark this page if you always want to know the current status of homes in Town N Country Park). Average home prices have bounced back to levels last seen in 2009. The average recorded home sales price has surged a whopping 36% in 2016 to $152,600. Considering the size of homes and the size and maturity of the lots they sit on, this price remains very low (meaning they are still going to move higher). Through the 25th of October, there have been 13 closed home sales in Town N Country Park. Average home values in Town N Country Park are up 30% over last year, yet they remain a complete steal for savvy buyers. As stated in many of our neighborhood reports, these values are still far below replacement costs and are actually very near the cost of the land (meaning buy the land get the house free, right?). Thus far in 2016, the average value of a home sold in Town N Country Park this year has been $92 per square foot. The average home size sold in Town N Country Park typically falls in a range of 1,500 to 1,750 square feet, and this year is no different. The 13 home sales in 2016 have averaged just 1,658 square feet. I hope you enjoyed our October 2016 update on home sales in Town N Country Park, please feel free to drop me a note if you have questions not covered in this report (or if you want to sell your home today).